In case you didn't already know. I am going to enter my first quilt challenge. The theme is “Movies” so I decided I would go with Grease. My main block will be based on this picture. I bought a craftsy class a while back called Thread Art by Lola Jenkins. You take a picture, trace the image, stitch the image, and then color it in with water colored pencils. Yes, I am Krazy to even try such a thing for my first ever quilt challenge. I don’t have photoshop or anything like it so I downloaded Photosketch free from the internet. I uploaded the picture and then converted it to a sketch drawing. Here is what it looked like the first time. I traced it with a sharpie. 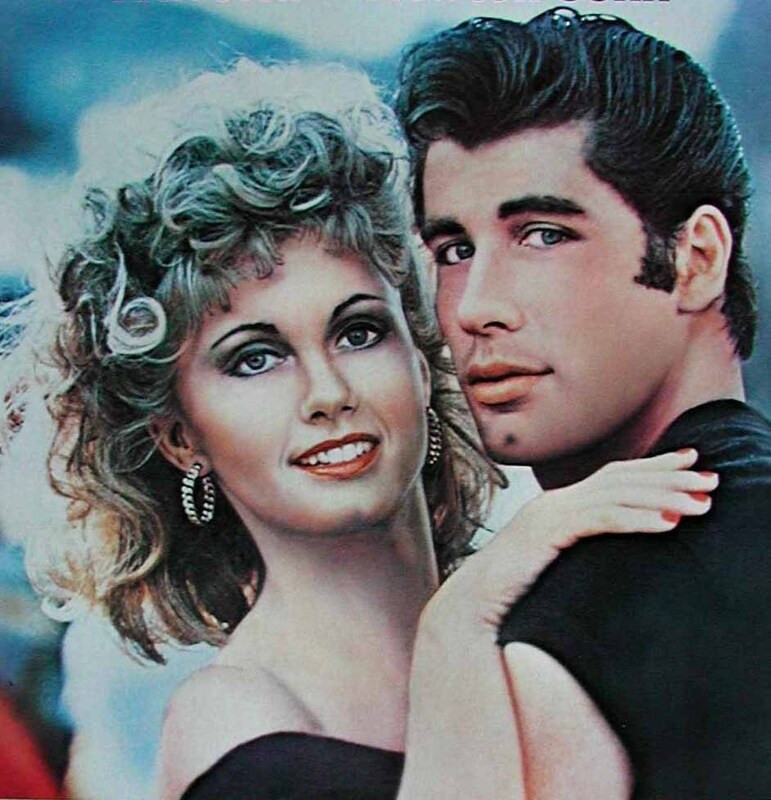 Not too bad, Danny looks ok but Sandy is kind of scary LOL. So, I think I will trace it one more time. I was upset that I ruined my fabric, you can use erasable pens but I didn’t do that :( I hate to waste any fabric, even an inch. Kind of like gardening, I was scared to prune anything at first. Such cute green plants popping up from the ground. I finally learned it really does help the plants if you prune them. I think I need to trace less of the details like hair and such. I can always sketch more later if need be, but this is supposed to be filled in with water colored pencils and free motion stitching. Fingers crossed for the next try, we will see. Until next time have a Kwilt Krazy night!